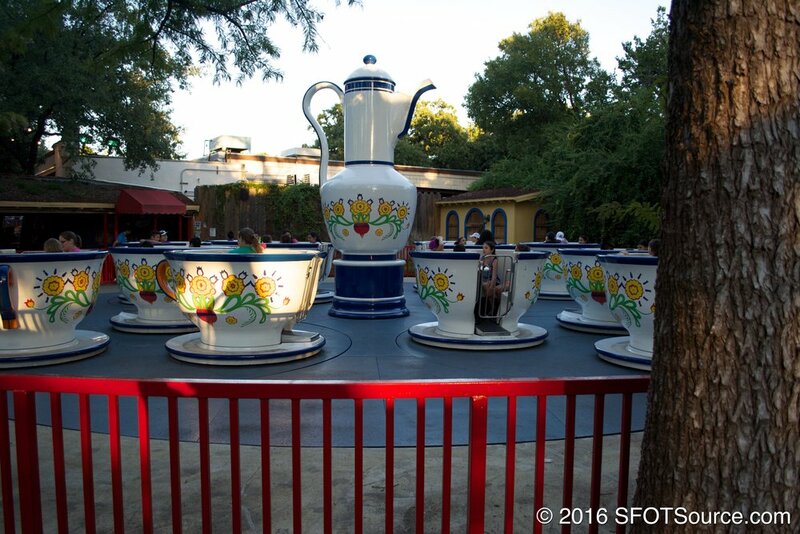 The entrance and queue line of La Fiesta de las Tazas has actually been used by two other attractions at Six Flags Over Texas! From 1961 through 1978, Fiesta Train called Six Flags Over Texas home and used the entrance and queue building. We show a comparison shot of the entrance in Series Four of our Then & Now Series. After Fiesta Train was removed, El Sombrero also called this location home. 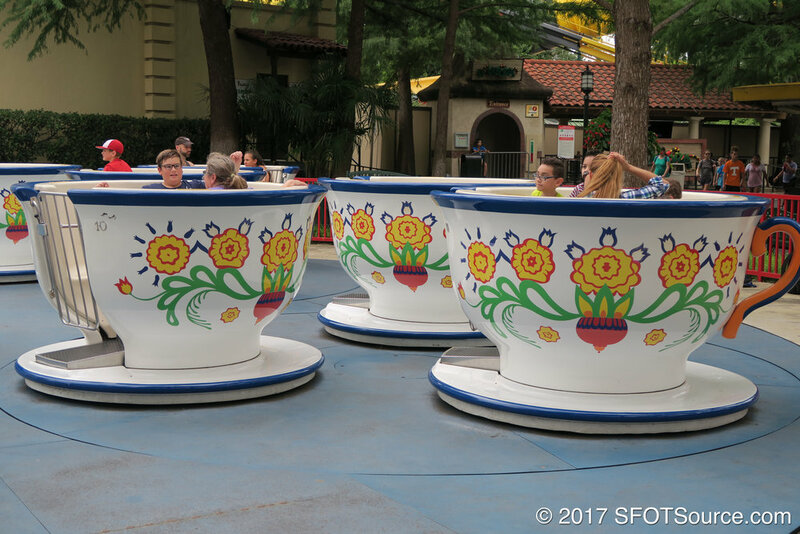 In 2006, El Sombrero was moved back to the Mexico section of the park and La Fiesta de las Tazas was installed as part of a brand new 10-attraction package for Six Flags Over Texas’ 45th anniversary.